Scarlet Nantes Carrot is a standard, 1 1/2″ diameter, market carrot that has a 6-7″ long, tapered shape, a rich reddish-orange color nearly coreless and is sweet and delicious. Rich in food value, it has a variety of uses and stores well. Scarlet Nantes Carrot is a standard, 1 1/2″ diameter, market carrot that has a 6-7″ long, tapered shape, a rich reddish-orange color nearly coreless and is sweet and delicious. Rich in food value, it has a variety of uses and stores well. Used often for juicing due to the high water and low sugar content. 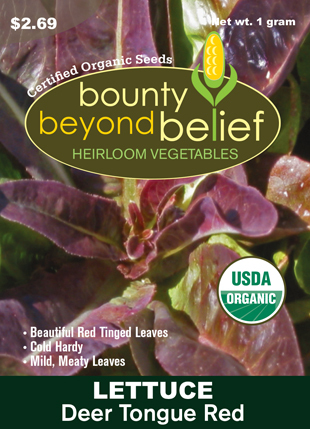 Grows well in most soils, very adaptable. Sow directly into loose, fertile garden soil with just enough soil covering to anchor the seeds 2-4 weeks before last frost date. For continued production, sow seeds again in 3-week intervals until mid-summer. Keep soil moist without allowing it to crust over before the seedlings emerge. Thin the young seedlings to 2″ and fertilize when plants are 4″ tall. Pull roots when carrots are of sufficient size and color to meet your needs. Leaf lettuce, onions and tomatoes are friends with carrots, so feel free to plant them together. Dill and parsnips should be planted away from your carrots.